Hope you enjoy the day, talk to you later. I also love the neon colors ... new trends of the season .. Yes! I saw it and commented it! 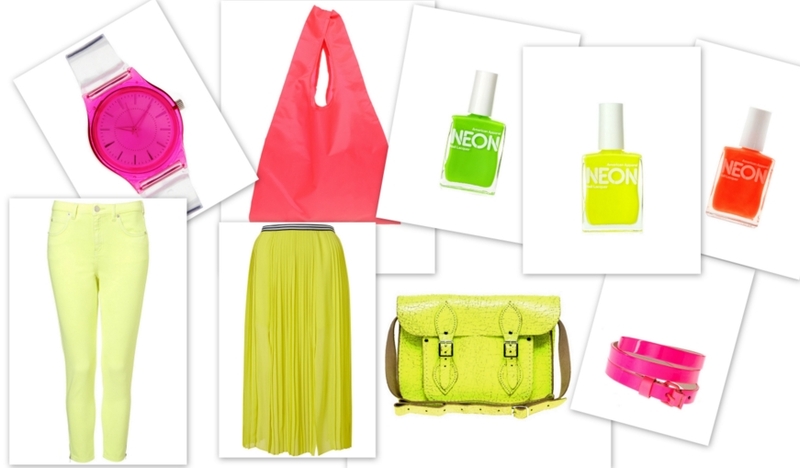 I love neon, the bags and the nail polishes are so nice! Need to get some for myself this spring. Esos colores me encantan lo malo es q este verano vamos a tener q estar muy moneras xa q nos favorezca! Loving the neons! Don't know if I could pull it off, but maybe just with accessories. My fav is the yellow skirt and pink belt. Im so into neon!!! Love this post! And these nail polish from AA are just amazing!! I am so OBSESSED by neon!! !